The second edition of this concise hands-on guide to implementing Good Laboratory Practice standards has been fully updated to include the latest changes in the regulatory framework. The areas of in vitro testing and multi-site studies have undergone considerable developments and have been particulary updated. 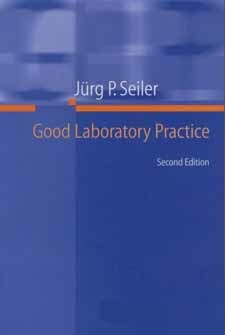 Good Laboratory Practice, Second edition is a practice-oriented guide introducing the reader to the background, basic principles, operating procedures and OECD standards. It gives invaluable information on how to avoid pitfalls and save precious time and resources. It is an essential acquisition for anyone concerned with modern GLP. 1. What is Good Laboratory Practice All About? Where Can GLP be Profitably Applied? 2. How is Good Laboratory Practice Regulated? 3. How can Good Laboratory Practice be Introduced in a Test Facility? 4. How is Compliance with Good Laboratory Practice Monitored?